March is nutrition month and its time to celebrate by making a few simple, yet effective health changes. After all these years in the field of nutrition, what I know for sure is that the quality of your food can change the quality of your life. So... if you are feeling a little blah at the end of this very bizarre winter, I challenge you to commit to bringing up your health game. Drink more water or herbal tea, eat less grain at night, take a high quality multi-vitamin daily and eat more colorful foods. Even small little changes in health creates huge impacts on how your feel. This newsletter is filled with so much natural goodness and inspiration. 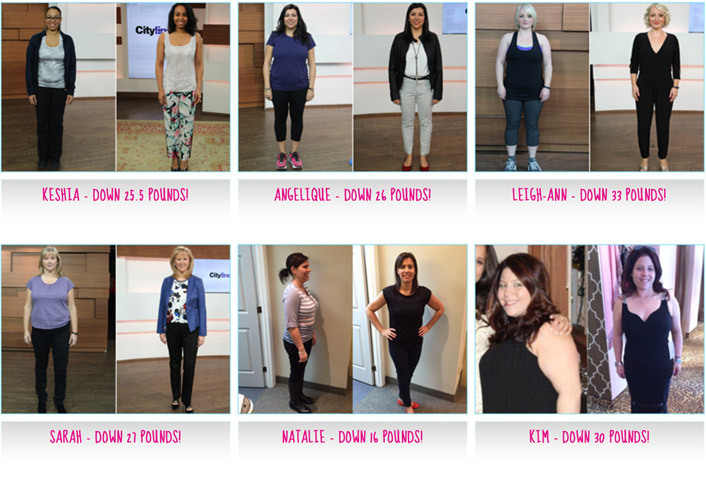 Read on to see some amazing Shulman Weight Loss transformations, check in on our Cityline weight loss winners and learn techniques on how to break a stubborn weight loss plateau. I am also featuring some of my new favorite natural health care products and some uber easy recipes to tempt your palate. So for nutrition month, I raise a (healthy) glass to you. To your health and wellness! Shulman Weight Loss is working with people across Canada, in the USA, Israel, Dubai and more! To book in for a free weight loss consult with Dr. Joey, all you have to do is contact inquiries@shulmanweightloss.com or call 905.889.5326. Did you miss Dr. Joey on Cityline? Click here to learn how to break a plateau and... to see how to get your hair, skin and nails to look their best naturally. These deliciously crunchy quinoa puffs by I heart Keenwa are the perfect crunchy option to keep in your cupboard for when a "snack attack" hits. All quinoa puffs are gluten free, and use certified non-GMO ingredients. Flavors include aged cheddar, sea salt truffle, sweet chilli and herbs de provence. In addition to a healthy snack, you can toss these quinoa puffs on a salad as a healthy crouton option. Looking for the perfect way to hydrate your lips after a balmy, cold winter? The HURRAW! Lip balms are made with clean, organic, non-GMO and vegan ingredients that you will feel good about using. The flavors range from coconut to coffee bean and delicious vanilla. Good for all ages. 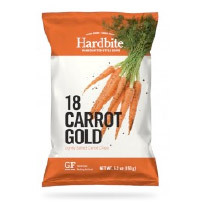 Instead of high fat and calorie-laden chips, try these tasty carrot chips by Hardbite. Light and crispy, these carrot chips are gluten free, made with non-GMO and artificial ingredients, free from cholesterol and trans fat and are Canadian made (fresh from a farm in British Columbia). The owners at Hardbite have an unwavering desire to make a chip with the finest and freshest ingredients with all chips being cooked in small batches to give you the best product possible. This amazing Canadian company was built by parents raising two children, knowing the importance and difficulties surrounding healthy snacks and meals. U RAAW developed a fun and easy way to build your own snacks including delicious energy bars that cater to your needs and sensitivities. The company believes in sustainable farming practices and use locally grown and seasonal products whenever possible. Visit their website and start building your own energy bars today. With a wide variety of ingredients you can use nut butters, protein powders, nuts and seeds, dried fruit, and healthy and natural sweeteners. The finished products are delicious and fun and easy to create! Also great for birthday presents or special occasions. 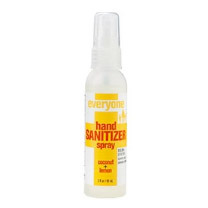 Keep germs at bay with this natural coconut and lemon hand sanitizer that kills 99.9% of all common germs. Made with lemon essential oils and coconut extracts, the spray leaves your hands smelling great all day long. Free of all synthetic fragrances, the bottle can also be recycled when finished. Blend all ingredients except shredded coconut in blender until well combined. Add shredded coconut on top of smoothie and enjoy! In a food processor, blend together the banana, avocado and cocoa powder, scraping down the bowl as needed. Continue blending and scraping, until very smooth and creamy. Enjoy immediately, or chill in the fridge before eating. Preheat oven to 450 F degrees. Line large baking sheet with parchment paper and set aside. In one small bowl, mix ground almonds (almond meal), garlic powder, oregano, salt and pepper. In another small bowl, whisk the eggs. Cut chicken into ? inch thick strips lengthwise. Dip each strip into an egg mixture, coat completely in almond mixture and place on prepared baking sheet. Bake for 15 minutes on one side, flip and bake for another 12-15 minutes or until golden brown. In a small bowl, whisk the yogurt with, garlic, lemon juice and Worcestershire sauce. Whisk in the oil and half of the cheese and season with salt and pepper. In a large bowl, toss the romaine with half the dressing and the remaining cheese. Option: Add ? cup of quinoa puffs (see in product section) for crouton. Enjoy! Ella Woodward, a well- known food blogger, creates recipes that are easy, straightforward and absolutely delicious. All of the recipes in her latest book are plant-based, gluten-free and easy to follow. Featuring over 100 new recipes, including smoothies, vegetable side dishes, healthy treats and more, there are many ideas that are perfect to kick off spring. Start your day with a warm glass of lemon water - A simple step that will help to kick start your metabolism, boost your energy and detoxify your digestive system. Remove all white, refined flour and sugar - Swap all your white, refined flour and sugar with healthier alternatives that won't spike your blood sugars. This includes: quinoa pasta, brown rice or brown rice pasta, spelt pasta, coconut sugar and fruit. Get enough sleep - Sleep in a room that is completely dark and make sure to cut off all caffeine a minimum of 4-6 hour prior to bedtime. Excess alcohol prior to bed will also disrupt your sleep cycle. Stay hydrated - Being dehydrated will zap your energy fast! Drink a minimum of 2 litres of water per day (herbal tea counts! ).